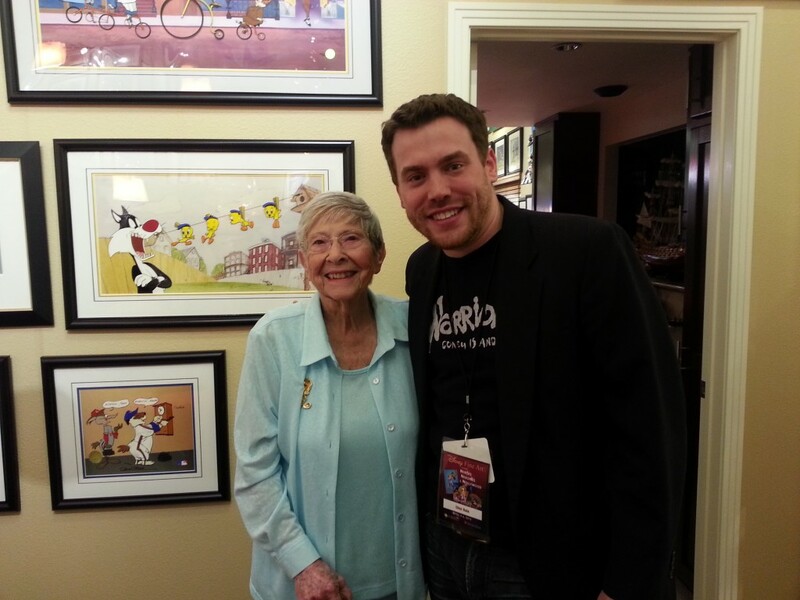 Last year, I was lucky enough to meet Martha Sigall, the 96-year-young former inker and painter who worked in what some consider the golden age of cartoonmaking in Hollywood. You name it, she worked on it, over the past eighty years. I had the opportunity to sit in on a Q&A with her, and then had the pleasure of chatting with her afterward, and she couldn’t have been nicer. We talked about living in New York, where she was born and lived until age seven, and the brutal winters that can be had in the Northeast. She told me her family moved her out West after a relative out there became ill, and they went out to California to take care of them. As a young teenager Mrs. Sigall ran errands for the workers at the ink and paint department at the Leon Schlesinger studio, the home of Looney Tunes and Merry Melodies. While there, she one night secretly finished the inking of a series of cels that a coworker hadn’t finished before the weekend. Monday morning, when that worker went to finish her inking, she realized that all her work had in fact been submitted the Friday night before. Within hours it had gotten around what had happened, and Mr. Schlesinger personally asked Sigall to his office and asked her if she had indeed finished the leftover cels. He told her she’d done a wonderful job and when she turned 18 if she wanted a job at the studios, she’d find one waiting. So at 18, when she couldn’t find a job around town in 1936, she remembered what Mr. Schlesinger promised and used the last of her money to take a trolley car over the studios where she asked for that job. 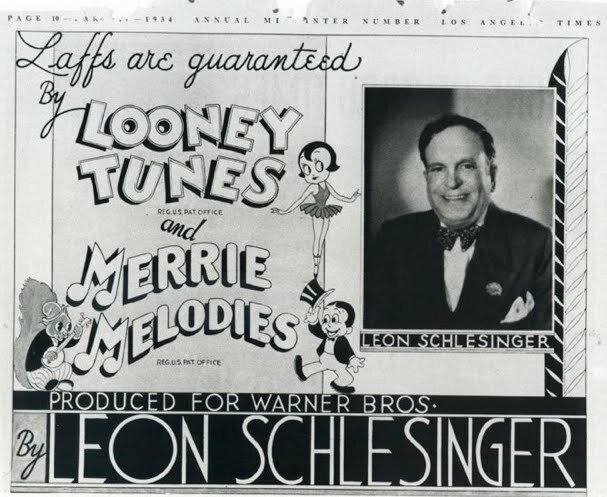 Mr. Schlesinger kept his word and hired her as an apprentice in the ink department, making $12.75 per week coloring animation cels that would introduce characters like Bugs Bunny and Elmer Fudd to the world. 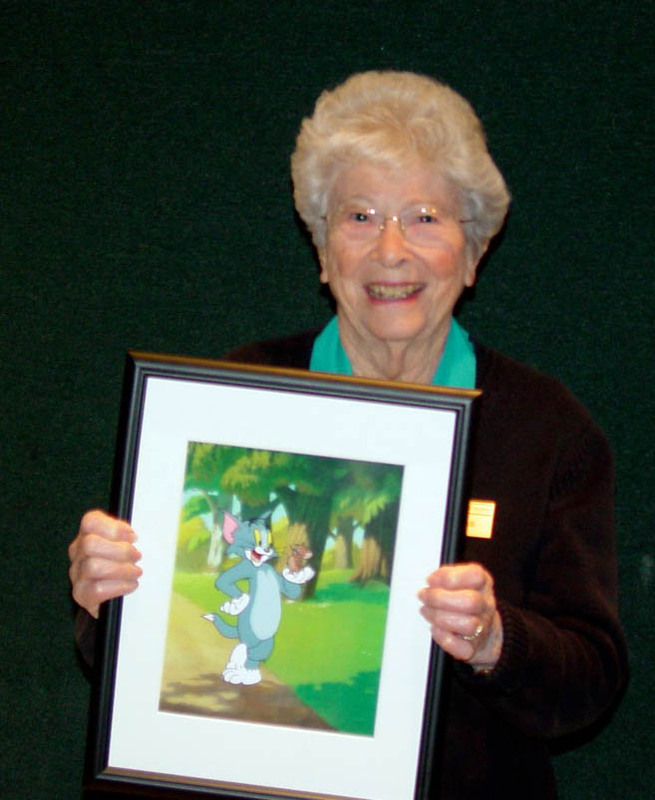 She had wild and wonderful experiences with the Warner Brothers cartoon crew, working and laughing all day with the animators, partying all night with the Looney Tunes gang on the bowling and baseball teams, and participating in weekend scavenger hunts. 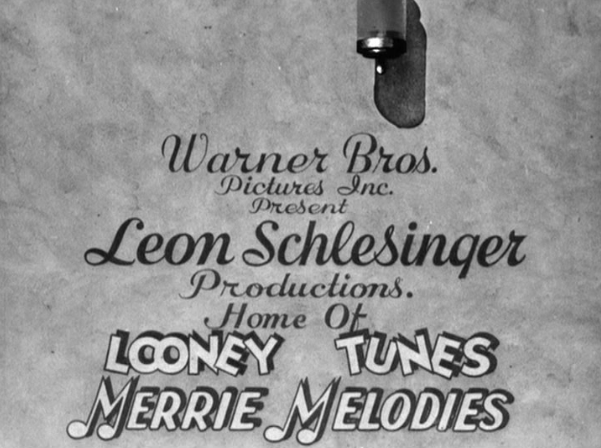 She was made president of the in-house “Looney Tunes Club“, co-wrote the company gossip column, and performed in the company’s theatrical troupe. 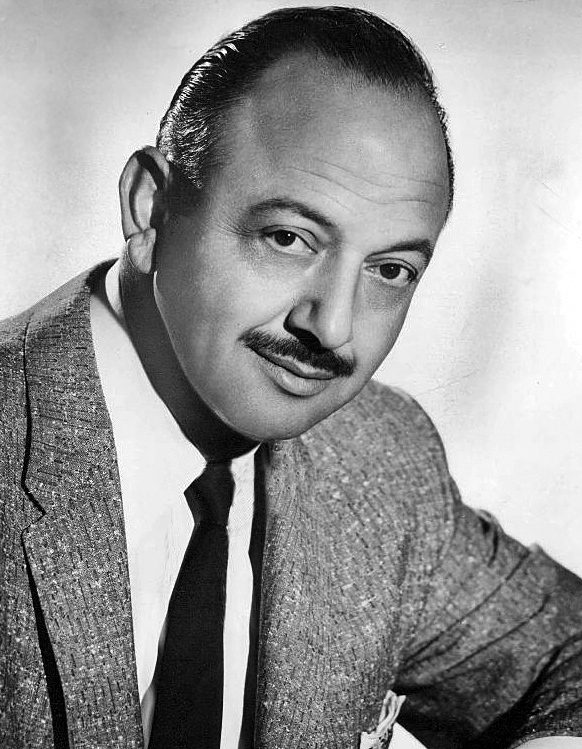 I spoke to her about Mel Blanc—she spoke of what a lovely man he was, and told me the legendary story of how he was finally able to secure a job at the Schlesinger Studio. Mr. Blanc would come in once a week, every week and ask if any voice work was available, and the secretary would politely decline him. Then one day the regular voice director, who had been denying him, died, and the new man in his place instead said “yes” to Blanc. After an on-the-spot audition for Chuck Jones and Tex Avery right there in the hallway, he got the job. Another thing Martha told me was that Blanc was finally able to secure a credit on the shorts, which up until that time was unheard of. But he had a huge condition: no one else could be credited on the films for voice work but him. 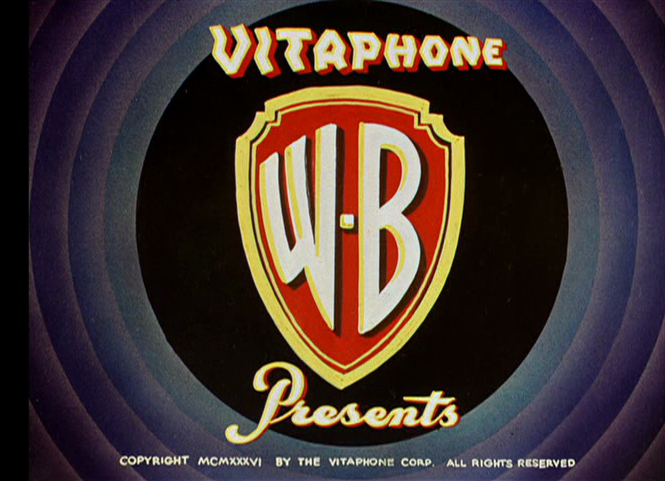 After World War II, Martha joined MGM Animation (Tom & Jerry, with Tex Avery) in Culver City as an assistant in the camera room. As she got steadier and steadier work and became so well-known in the business, she was able freelance her ink and paint services, working from home once she was married and had children. She went on to create art for many classic features, shorts, commercials, and TV series, including Garfield, Peanuts, and The Pink Panther. 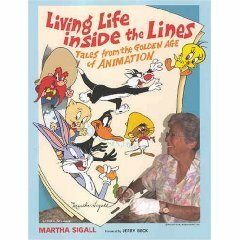 For more inside stories, you can check out Mrs. Sigall’s book, Living Life Inside The Lines: Tales from the Golden Age of Animation. was. He loved animation, there was no two ways about it and everybody knew that. And so did a lot of the people I worked with. And that’s what made me love animation and I think that’s why I’ve lived as long as I did… so far, (laughter) because I had so much fun. I used to feel so sorry for my friends who weren’t in animation. That’s kind of an arrogant attitude but I can’t help it, that’s the way I was. We had so much fun and they played so many tricks on each other, they were such funny people and very good people- they would give you the shirt off their back. Truly, truly, they were wonderful people. Question 1: Could you tell us some of the stories of the jokes on one another? 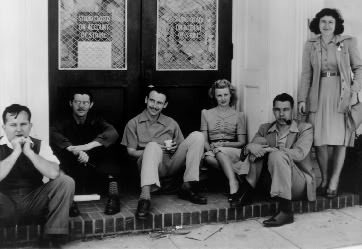 Martha standing up at right, with fellow ink, painters and animators. Oh and there’s another story I have to tell ya. There was one of the fellas- we had no air conditioning; course I don’t think they’d even invented it yet- but it was so hot in that place, the studio we worked in had at one time been a storage room and there was no good air and it stayed that way. So it was awful hot one day, and this wonderful guy, Gil Turner, decided to take his clothes off and work. He even took his shoes and socks off, and taped his feet to animation paper because the floor was so rough, he would get slivers. So he sat there in his shorts, drawing and one of the fellas happened to notice that. So he see’s Gil’s clothes on a hanger and takes them, and they pass them out to all the guys in the animation room (laughter). They went into the office and told Henry Bender, who at the time was our personnel fella, and told him we were playing a gag on Gil. They described what they were doing, and he (Bender) said, “Okay, I’ll call him on the public address system.” “WILL GIL TURNER PLEASE COME TO THE OFFICE…” (laughter) And Gil looks around and sees his clothes are gone! (Laughter) Well he knows what’s happened, and he runs to the guys and says: “Give me my clothes, give me my clothes!” And he hears again: “WILL GIL TURNER PLEASE COME TO THE OFFICE, IMMEDIATELY!” And he’s panicking and finally they give him his clothes and he runs in to the office, buttoning his shirt, and he says, “You wanna see me Henry?” And he says, “Oh go back to work Gil, it’s only a gag.” (big laugh) That’s the kind of stuff they did all the time. And if you did anything, it was on the bulletin board the next day. (laugh) So, you just had to watch yourself… Another question? Dion: Yes, 2 actually… Do you remember what the first cartoon was you worked on? And, secondly, do you have a favorite out of everything you did or you like best? Q2: Were you the only female in the department? But there were a lot of us. And then later, there were 60 of us and during the war, we had to do training films. When we did training films, the FBI came and made us give our fingerprints and asked us questions, and they went to our neighbors to find our what good citizens we were, (moans and ‘wows’) and all of us except 1 passed. 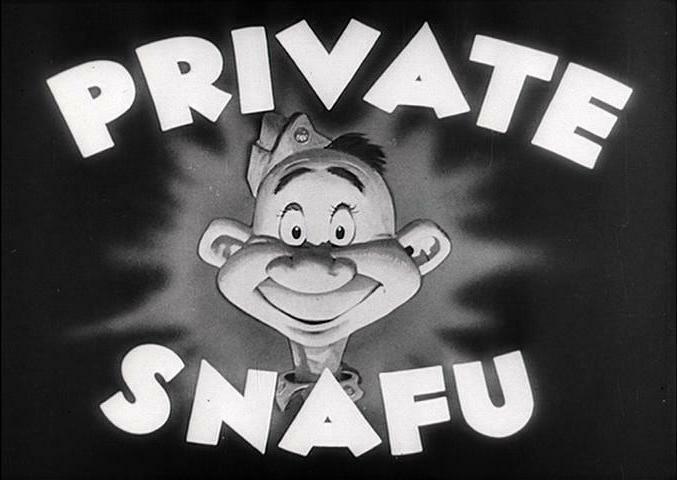 One girl got fired because her husband was a member of the German American BUND, and the FBI found out about it and she couldn’t work on the training films, on the SNAFUs (wows). But we did, and they hired more girls, and there were 60 of us working. And we all got along pretty well. Any other questions? D.B. : What was the last one you worked on before you retired? M.S. : The last thing I worked on was not a Looney Tune, it was for Bill Melendez’s Snoopy, (sighs) I worked for him and that was my last cartoon. That I got paid for. But I worked at MGM, and at MGM I worked in the camera room. And during the war, I worked at Graphic Films, and I was taught the camera. So I was the assistant cameraman, and there were no cameraman they didn’t take care ladies, they didn’t take females in the cameraman’s union, or the projectionist union, and maybe some others but I don’t know. But they allowed me to work because it was wartime and all the fellas were going into the service. So they let me work without paying any dues, or initiation fees or anything like that, but they said, as soon as the war is over, you’re fired. (big laugh) And the day the war was over, the celebrating, it was so exciting- we knew we were gonna lose our jobs because we were doing training films for the Navy and they had a contract that said when the war was over, they would stop. So they called to tell my boss to say Martha’s union benefits have now been rejected… So I was no longer in the union (laugh). But little by little girls got into the business of animating, and now they’re even directing. They’re doing everything. So that’s changed.